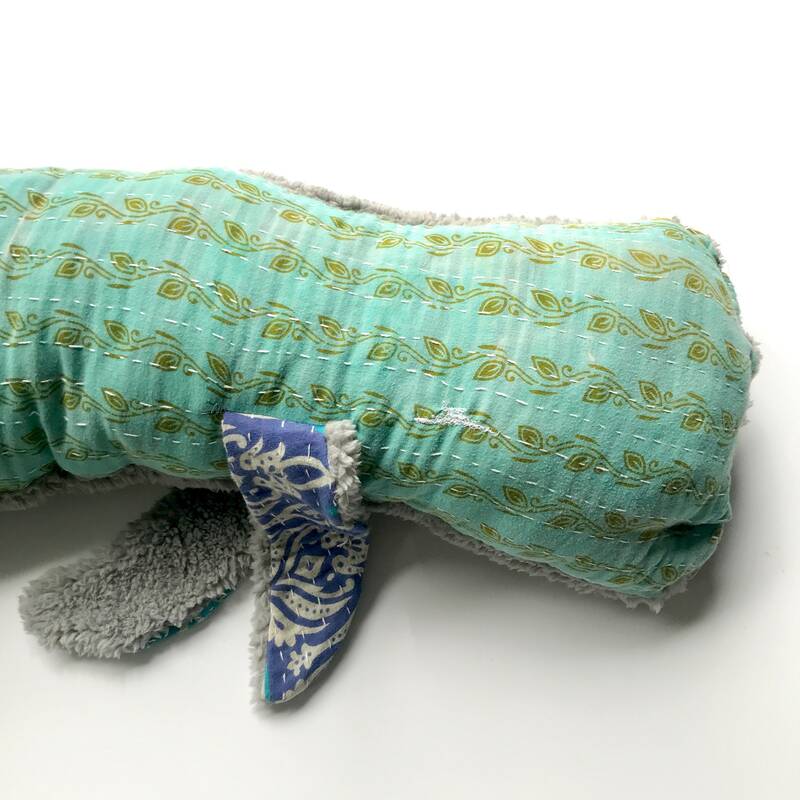 This giant stuffed Kantha whale is made from grey minky and Kantha and stuffed with recycled fabric from our shop. It’s extremely soft and squishy, the perfect addition to any nursery or cozy space. Whale measures about 3.5 foot long. Please specify colors with your purchase. Your gift will be wrapped in a beautiful piece of Kraft paper with ribbon and a floral accent. Please include a name and message for your card. Love this custom sunsuit for my baby- thank you! !